The distant past another roadside attraction. Thanks to the authors: John Wyatt, M.J. Hyland, Zadie Smith, Joseph M. Williams, Paula Fox, Yukio Mishima, Apuleius, William Trevor, and Tom Robbins; and to Nina Katchadourian for the idea. 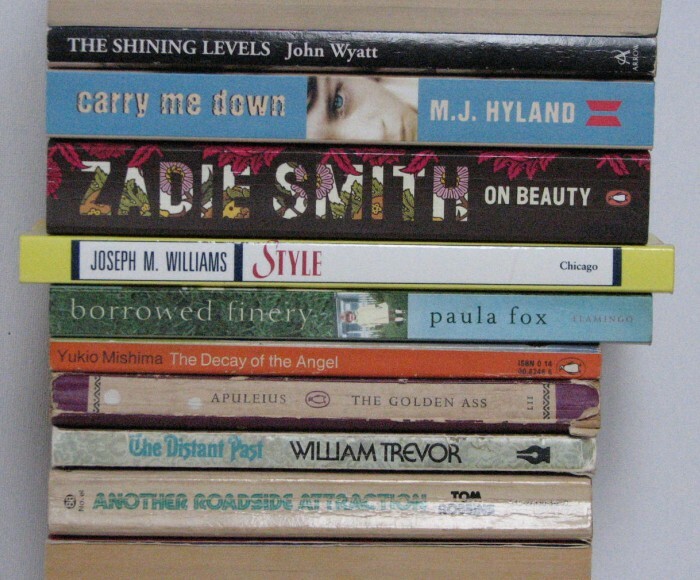 More book spine poems in the archive, along with links to other people’s. Feel free to join in.